The Cheetah is an easy to learn disc. Great for straight shots on narrow fairways. 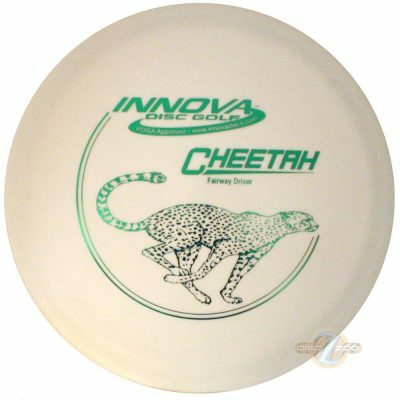 The Cheetah was the first driver that really taught me disc flight. Thrown hard and flat, the Cheetah will flip, turn and then roll back out for a full flight and nice distance. All-round performer, Beginner friendly, Great for kids!